by 110dB alarm, powerful bed shaker and bright strobe. doorbell and is a fully functional alarm clock. works and to communicate better with them. while watching TV. They prefer captions. from the rest of the nation. Unlock the phone with CapTel® Captioned Telephone! CapTel shows word-for-word captions of everything a caller says over the phone, letting you read everything that they say. Like captions on TV – for the phone! Captions are provided by a free service, no monthly fees or contracts required. For more information or to order call 1-800-233-9130 V/TTY or visit http://www.weitbrecht.com/captel.html . For more info about CapTel or any of the many assistive listening devices we offer, email: sales@weitbrecht.com. by two time Teacher of the Year at University of Florida — DrASL! may be a snob, or very talkative or something. not knowing who he really is. 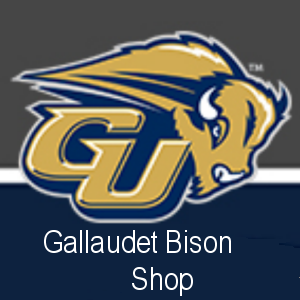 that a deaf student takes at Gallaudet? 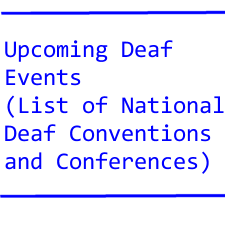 major, but learning everything about deafness on campus. it had a Deaf Studies major. been able to find a job. Why? that could lead him to employment. deaf son to keep on trying. across the USA this summer. new laws that are deaf-related!